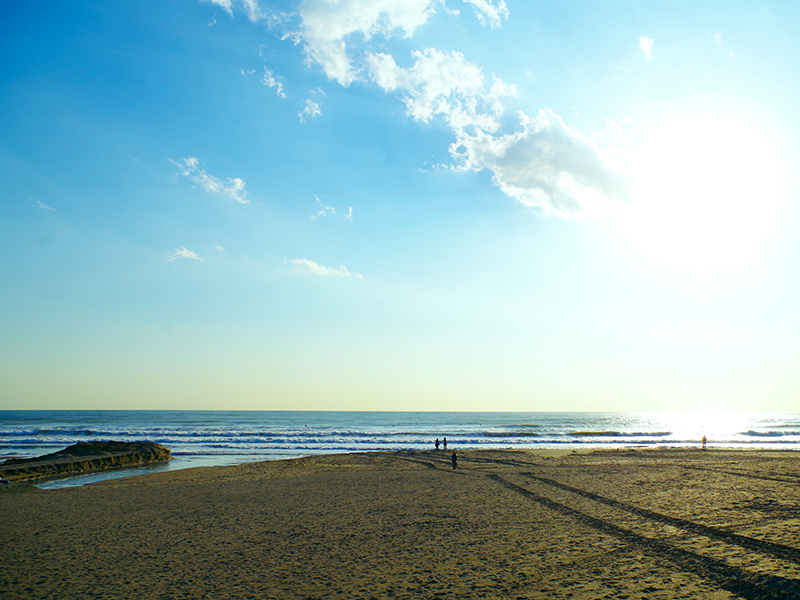 This is one of the most popular beaches in the Shonan area, and it is crowded with many beachgoers during swimming season in the summer every year. The west side and surrounding area of the mouth of the Namerigawa river is called Yuigahama and the east side is called Zaimokuza beach. The seaside houses where you can eat a wide variety of food are also popular. 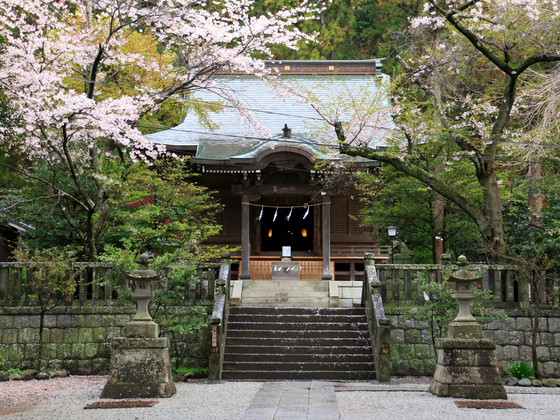 The premises of this temple is divided in two; the lower premises are stretched out in the skirts of Kannonyama mountain and the upper premises are located on the cleared area halfway up the mountain. The lower premises play a role as the entry point into the mountain. There are two ponds here, Myochoike pond and Hojochi pond. This is the stroke-style garden where visitors can walk around the ponds.The whole premises are colored by seasonally blooming flowers and trees, which explains the name, the west nirvana of Kamakura. At the upper premises, the main halls are lined up, including Kannon-do hall, where the principal statue called Hase Kannon who has eleven heads in addition to the main head is placed. From the Viewing spot, a broad panorama of Kamakura’s ocean and town can be enjoyed. The walking path utilizing the slope is regarded as one of the most beautiful scenic spots in Kamakura. Also, about 2500 hydrangea flowers of more than 40 species bloom around the path. This makes a walk on a “hydrangea path” during the rainy season a popular activity in addition to the view. A colossal copper image of Amida-butsu (Amitabha Buddha), known as Kamakura Daibutsu (Great Buddha of Kamakura) is the principal image of Kotoku-in temple and it is designated as a national treasure. This Buddha statue, whose height is 11.3 meters and whose weight is 121 tons, has mostly kept its original form, and has an exceptionally important value to Japan’s Buddhist art history. 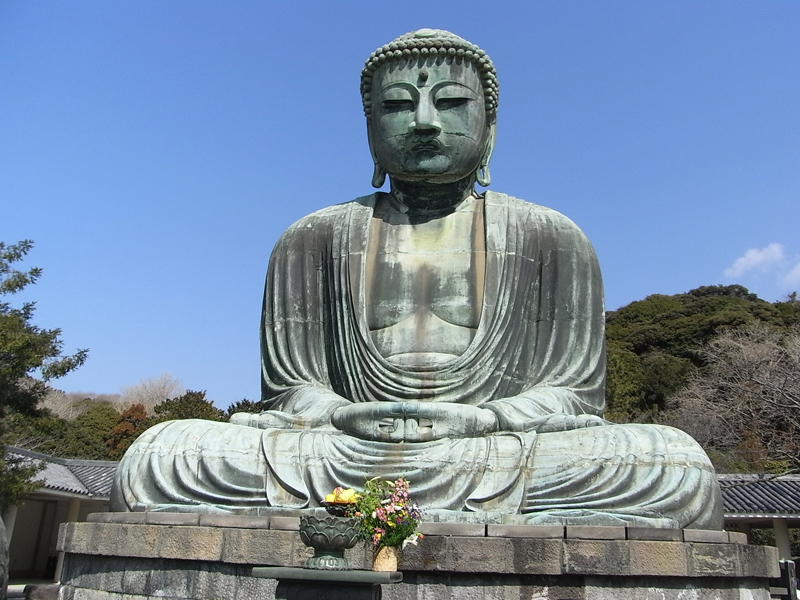 The Great Buddha of Kamakura was built more than 750 years ago and garners belief from many Buddhists inside and outside of Japan across different sects as a symbol of Buddhism introduced to the east. The origin of Tsurugaoka Hachimangu shrine goes back to 1063 when Minamoto Yoriyoshi, who came back to Kamakura after he conquered the Oshu area (north part of Japan), enshrined Iwashimizu Hachimangu shrine from Kyoto at Yuigahama shore as the guardian god of Genji families to pray for the grace of God before going into battle. The current main hall built by the order of the 11th Shogun of the Edo government, Tokugawa Ienari in 1828, is a representative Edo-style architecture and it is designated as a nationally important property along with Wakamiya shrine. 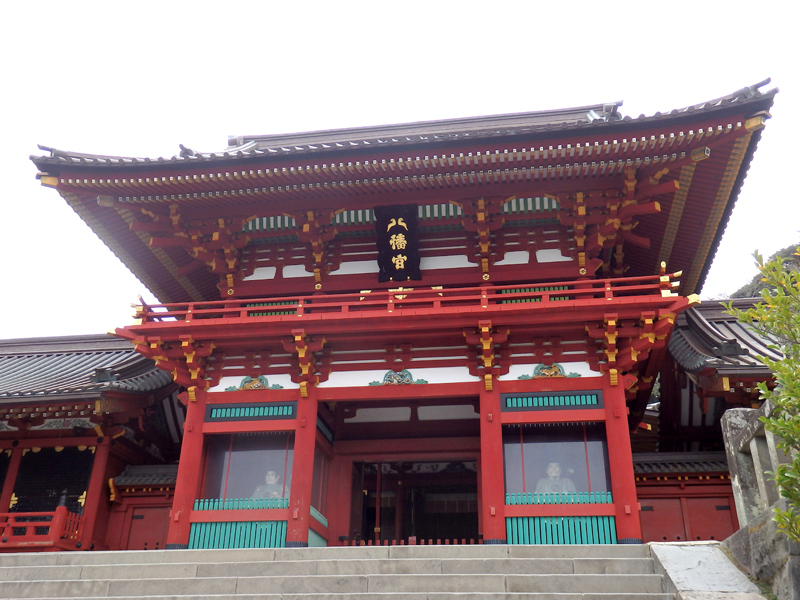 The dark green surrounding shrines and vivid vermillion of the shrine buildings make a perfect blend here. The Shirahata shrine that entombs two lords, Minamoto Yoritomo and Minamoto Sanetomo, Maiden (dance hall) that has a relation to Lady Shizuka and an approach called Danzakura, which indicates the 800 years of its long history. Samuel Cocking Garden, located at the top of Enoshima island, and the observatory in the garden, are known as the sea candle. Here visitors can enjoy flower festivals and romantic illumination events using candles that changes every season. The roof top observation deck at the sea candle is a great scenic spot where the whole of Kanagawa prefecture can be seen. When the weather is good, sometimes Mt. Fuji can be viewed as well. 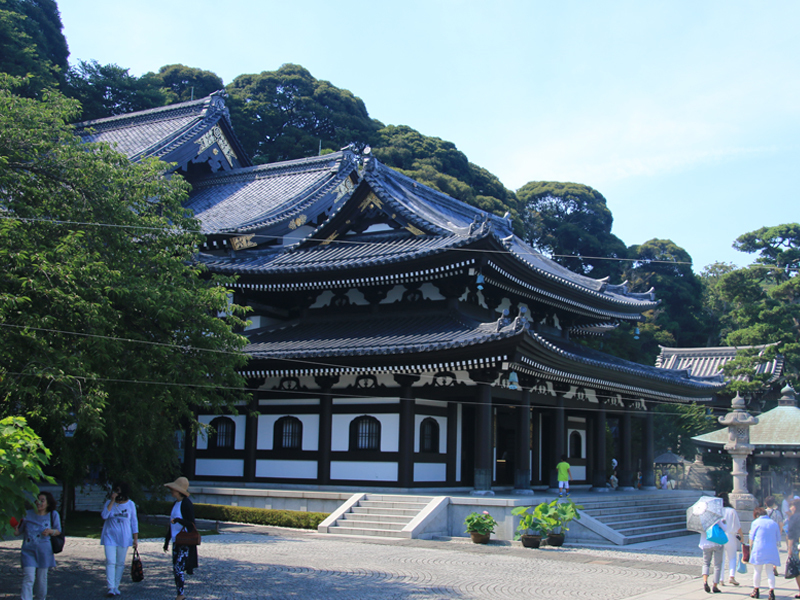 Additionally, Enoshima shrine is famous as a shrine that brings romance, and is also a popular sightseeing spot. 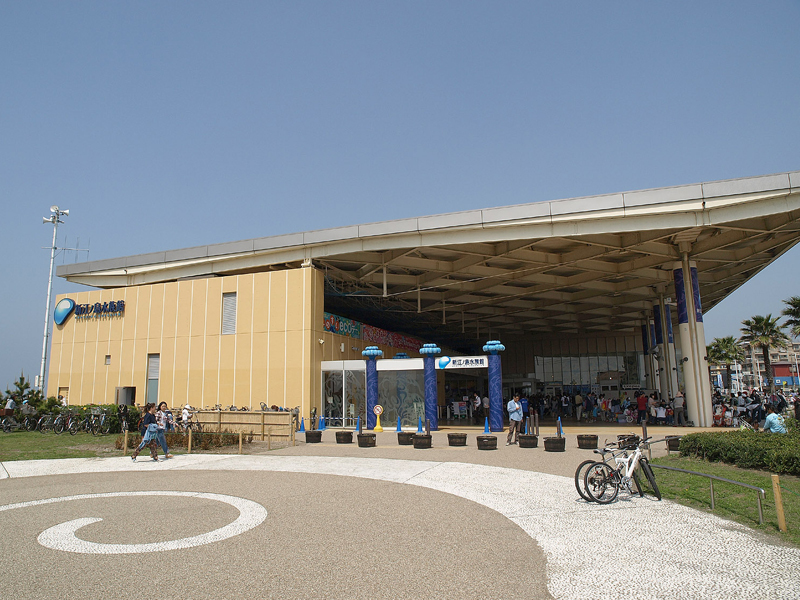 Enoshima Aquarium faces Sagami bay, and is proud of its excellent location, with Mt. Fuji on the right and Enoshima island on the left view. Dolphin show stadium, where performances by dolphins and seals are showcased, is especially popular. 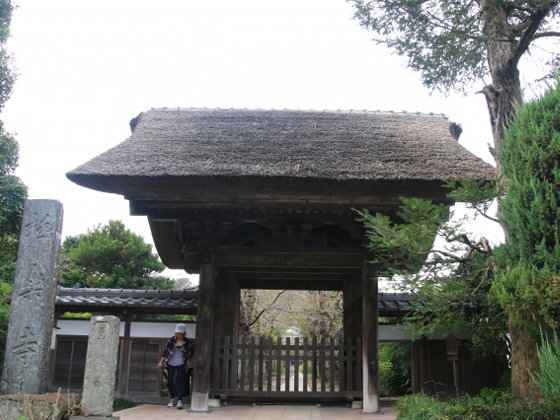 Goryo shrine is said to have enshrined the spirits of five families who were the earliest ancestors of Heishi familes in Kanto, Kamakurashi, Kajiwarashi, Muraokashi, Nagaokashi and Oniwashi. 五霊 (five spirits) which reads “goryo” turned into 御霊 (honorific word for spirits) for its common name, and later the five deities were consolidated into one deity, which is Kamakura Gongoro Kagemasa. It is said to have been called Gongoro shrine after the name of this deity. Gokurakuji temple was opened by Ninsho, founded by the second regent Hojo Yoshitoki’s third son, Shigetoki, and built in 1259. At its heyday, this temple not only held temple buildings including Kondo hall (main hall), Kodo (lecture hall), and a thirteen story pagoda, but also 49 tatchu buildings (a temple to commemorate highly respected preacher). However, because of wars, fires, and earthquakes and so on, Kisshoin building, which is the only building remaining, became the main hall. The legend says that this shrine was built because lord Minamoto Yoritomo, who longed for peace and security for the country, had a revelation on the night of the day of the snake (the sixth of the twelve signs of the Chinese zodiac) on the month of the snake in 1185, which told him if he commemorated Shinto and Buddhist deities using the water in this place, the country would be governed peacefully. 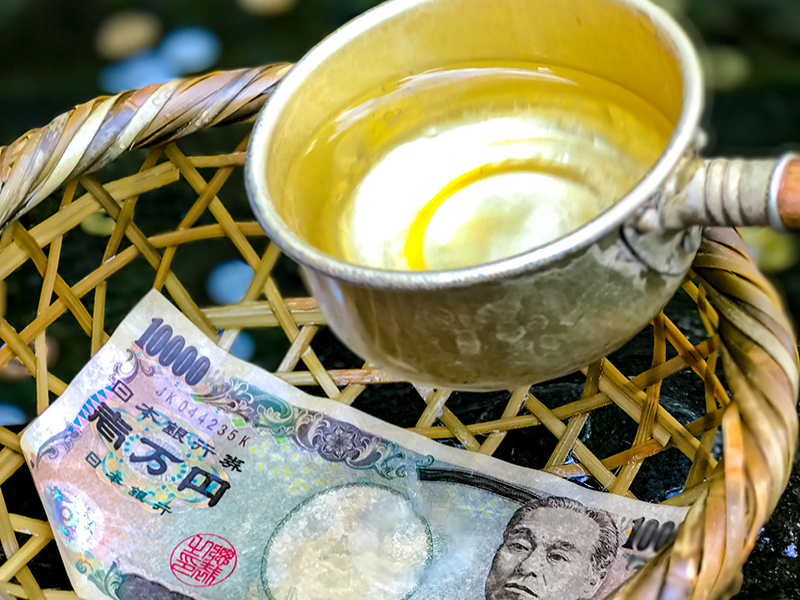 Then, it is said that following Hojo Tokimune, who washed his coins using the water here to pray for the prosperity of his family, people started to hope for the happiness and gains by washing the coins. 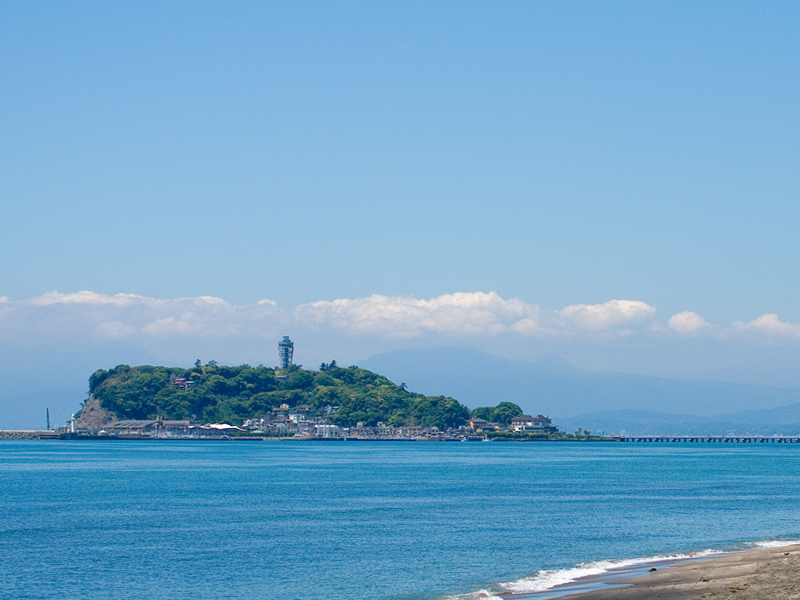 Zeniaraimizu is designated as one of the five best waters of Kamakura. 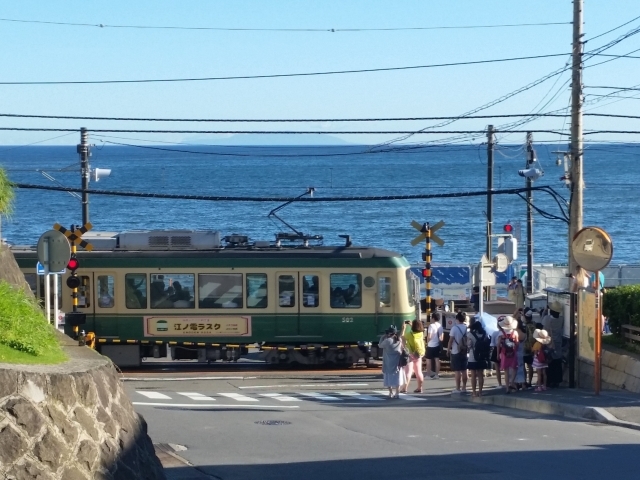 The railroad crossing of Enoshima Electric Railway featured in the opening scene of the popular basketball animation “Slam Dunk” is a much-loved photo spot, a kind of Mecca for big fans. This kamakurakokomae Ichigo Fumikiri (the first railroad crossing in front of Kamakura high school) is located about 100 meters east of the Kamakurakokoekimae station. 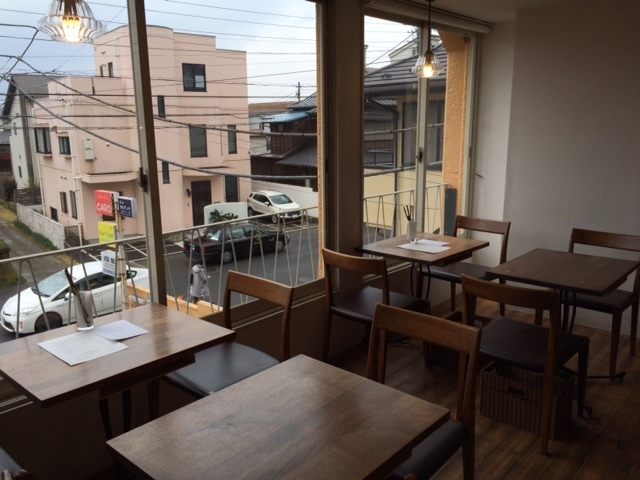 Café Sakanoshita is a café who uses an old renovated house. The popular item here is the pancake, which you can eat in a retro atmosphere generated by chairs, tables and miscellaneous goods inside the café. 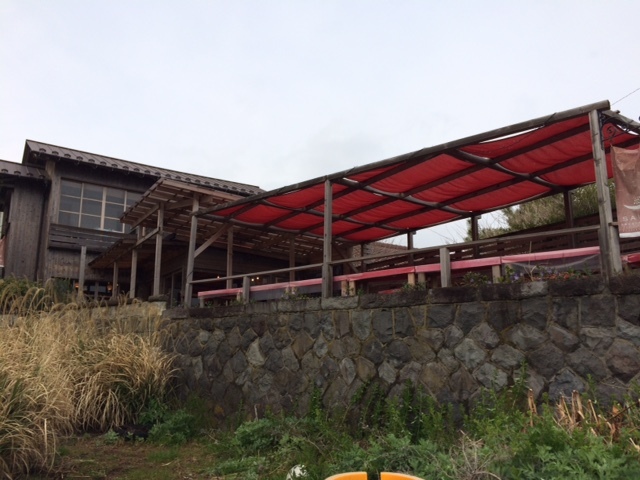 This café is famous for being featured in the drama starring Kiichi Nakai and Kyoko Koizumi, “Saigokara Nibanmenokoi”. 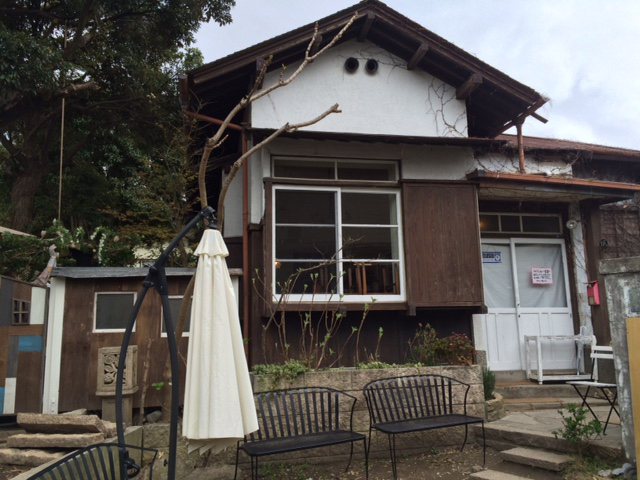 Y’café is a café using an old house in Kamakura Sakanoshita, is located within 7 minute walk from Hase station of Enoshima Electric Railway. 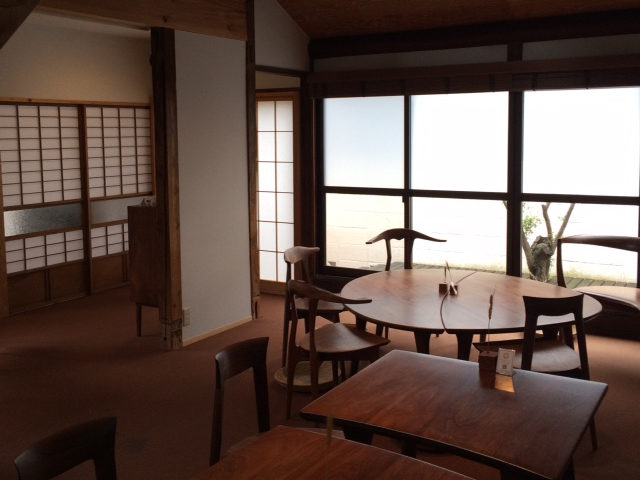 This café revitalized a building built in the early Showa era (1926 – 1989) . Y’ café puts value on ingredients and the relaxed atmosphere. You can enjoy simple sweets that you will never get tired of and a one-plate lunch with a lot of vegetables. 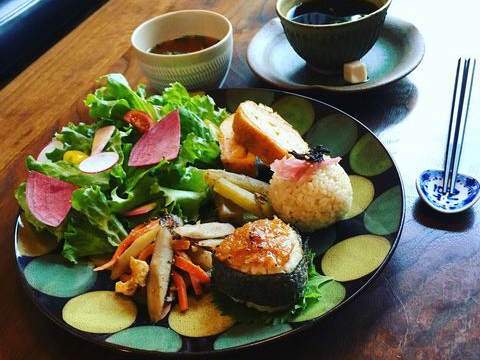 Kuriyum is a popular Thai restaurant serving food that combines fresh local ingredient in Kamakura. Its flavor is elegant and popular among female customers as well. Café Sairam uses the gifts from safe and secure lives and lands and serves food full of energy to make customers vigorous both mentally and physically. It is a vegan restaurant with a comfortable space and a great view, which highly prioritizes health and its ingredient. It uses selected organic vegetables for serious vegetarians. Café Recette is the first café in Japan specializing in bread sweets. It is run by a high class bakery in the Setagawa ward in Tokyo as a way to pursue the potential of bread and advance it to a higher dimension. The ultimate French toast and premium sliced bread made of 100% Japanese ingredients are served. 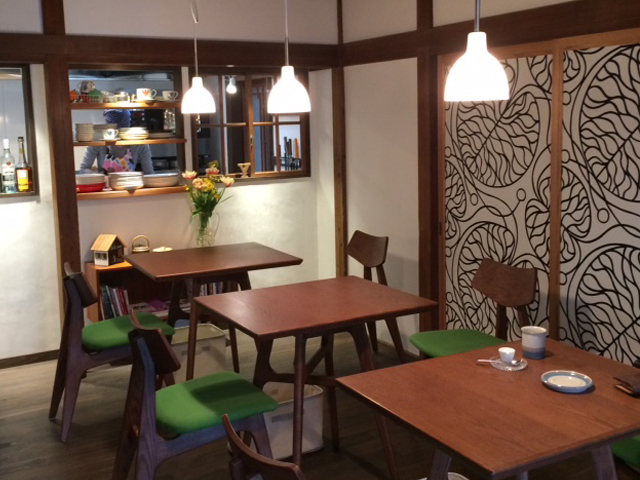 Inside Fukubiyoricafe Sakanoshita, who renovated an old house, there is comfortable furniture with atmosphere, and time seems to pass slowly. This café serves a morning menu, Hainan chicken rice, and red curry. Their sweets and chai tea are also highly recommended.